Last year’s Pets in the Park event featured racing and drew around 150 people. Andrea Marshall photo. “If there are no dogs in heaven, then when I die I want to go where they went,” said Will Rogers, the iconic American humorist and social commentator. Rogers would be in heaven if he were in Ruskin next weekend. That’s when Pets in the Park, a day of fun and competition for lovers of Patterdale Terriers and other breeds of small dogs, are expected to fill Ott’s Off-Leash Dog Park at 1st Avenue and 3rd Street SW. The free event is slated to open at 9 a.m. Saturday, Sept 27. “It’s a combination of a national Patterdale event, but we also welcome anyone with small dogs that want to try the event,” said Ruskin’s Andrea Marshall, show coordinator for the Patterdale Terriers national breed club. The main attraction, racing and other events for the speedy terriers, is expected to draw the biggest crowds. This event is national in scope and will include racing and simulated hunting open to Patterdales. There will also be contests for terriers of any breed. Patterdales are an English breed of dog descended from terrier breeds in the late 20th century. They have an innate ability to squeeze through small openings, allowing them to track their quarry underground and in the rocky terrain of Britain. They are recognized by the United Kennel Club in the United States but are still not recognized by the American Kennel Club. The day will feature lots of food, dog crafts, a huge raffle, dog retail supplies, a face painter and games for dogs and families alike. Proceeds from the raffle will be donated to support Ott’s Off-Leash Dog Park. Last year’s Pets in the Park drew people and dogs from all around the area. Andrea Marshall photo. All dogs must be on a leash to enter the event, which is in its second year at the park. Last year’s event drew some 50 Patterdale owners and 100 members of the public. For more information, email Andrea Marshall at andrea@anampatterdales.com, or call 813-345-6899. For more information on the club, visit www.anampatterdales.com. 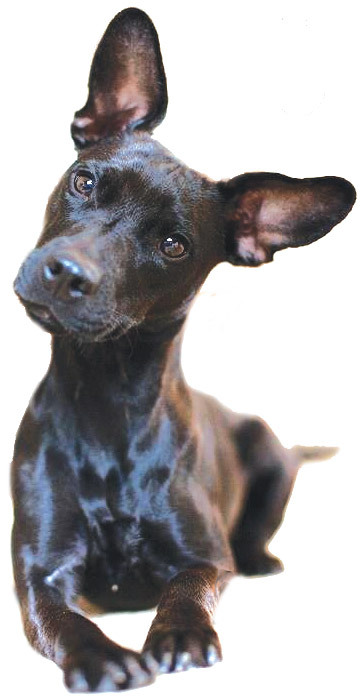 Is a Patterdale Terrier right for you? You want a smart, loyal, athletic and energetic companion with great prey drive. Know that while easy to train, they are very active and have a shorter attention span than some other breeds, demanding the need for consistency in training and socializing. 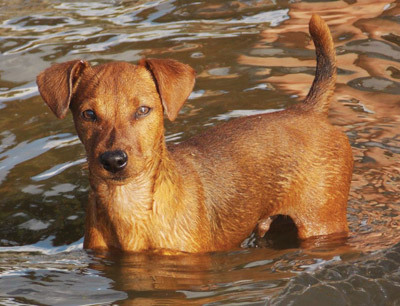 Understand that a Patterdale is essentially a 100-pound dog in a 12- to 20-pound body. Patterdales are very intelligent and are unaware of their small structure and stature. Price range for a good healthy puppy will be $500-$800. The main reason Patterdales are found in shelters is that people are not prepared for or educated on the breed’s energy and activity level. Prepare to spend no less than one hour a day working, exercising and/or playing with your terrier. Socialization is a must with Patterdale Terriers. They can be territorial animals and make terrific alarm dogs and watchdogs. These are hunting dogs and were bred to dig. Be sure you have a yard adequate to house a dog with these instincts and know that to keep any other type of small/prey animal can be difficult if even possible. Most Patterdales could easily clear a 4-foot chain link fence. Patterdales need structure and routine as well as manners to be a good inside pet. They are not lapdogs or purse dogs just because they are small. They are hunting and prey dogs. The main thing is: a well mentally and physically stimulated Patterdale is a happy and wonderful pet and companion.